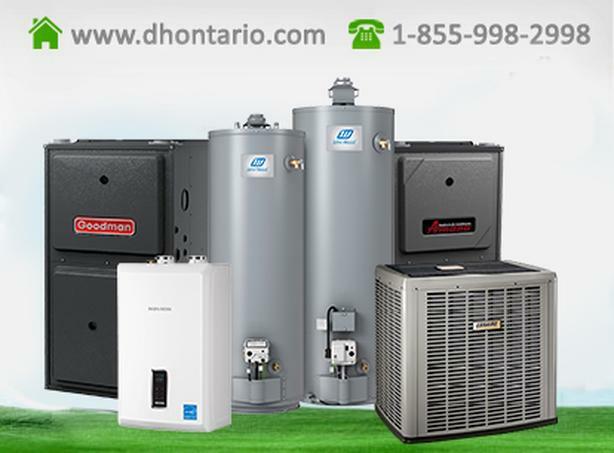 Rent to own High Efficiency Air Conditioner, Furnace, Tankless or Hot water Heater equipment with most affordable programs available to the homeowners across Toronto and Ontario. You don't have to invest thousands of dollars into purchasing and maintaining your new high efficiency equipment. 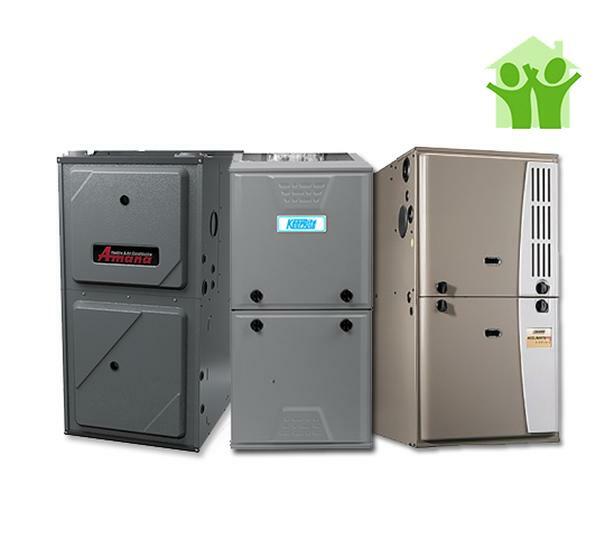 With our affordable rent to own and financing programs you can experience the comfort of a new hot water heater, tankless or a high efficiency Furnace or Air Conditioner in your home in just 24 hours. 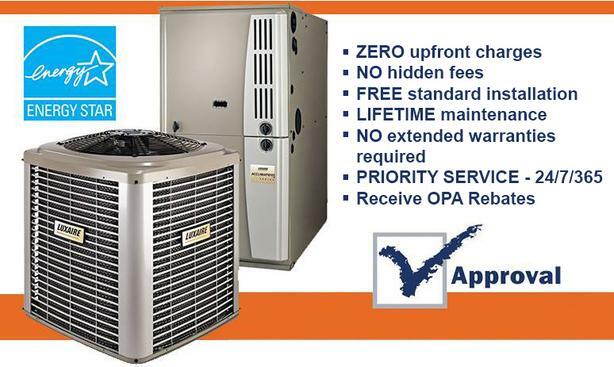 Our ENERGY STAR qualified equipment will help you save energy and money Rebates!!! 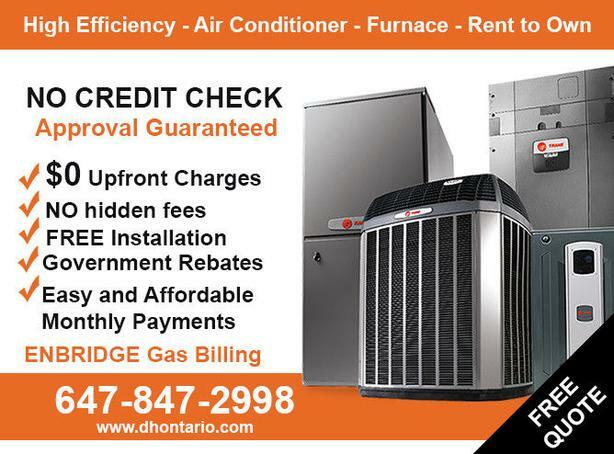 Plus you also have an option to include your High Efficiency Air Conditioner, Furnace, hot water heater or tankless equipment rental or financing on your Enbridge bill making it one less bill to worry about. If later you no longer wish to rent or finance your equipment, NO PROBLEM just pay the outstanding balance without any additional costs or penalties and warranty still remains active. Renting your equipment can be cheaper than you thought!